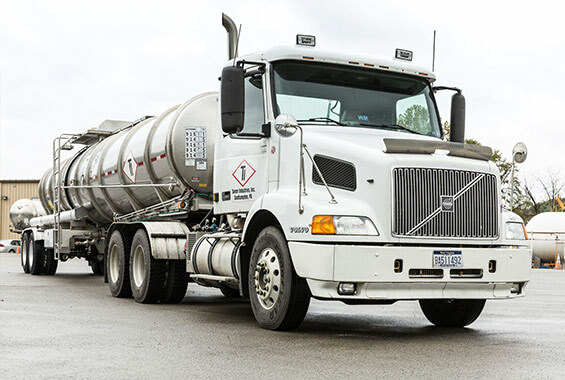 For industrial processes that require the use of ammonia, Tanner Industries is an anhydrous and aqua ammonia supply company that's prepared to offer a complete solution, including full compliance with all of the regulations for the handling of hazardous materials. From ammonia distribution to the safe storage and handling of anhydrous and aqua ammonia, including lease or sale of ammonia storage tanks for their clients, a properly certified and experienced anhydrous and aqua ammonia supply company can ensure safe delivery and effective use of the material during every phase of its life cycle. Anhydrous Ammonia is composed of 3 parts hydrogen and one part nitrogen (82% nitrogen and 18% . In its liquid state, anhydrous ammonia is lighter than water, with a density of 42.57 pounds per cubic foot at -28°F. In its gaseous state, anhydrous ammonia is lighter than air, with a relative density of 0.597 compared to air at atmospheric pressure and a temperature of 32°F. hydrogen). It boils at -28°F and freezes to a white crystalline mass at -108°F. Because anhydrous means, 'without water,' the storage and handling of anhydrous and aqua ammonia requires strict protection against water and water vapor infiltration, and ammonia storage tanks are designed to prevent any type of contamination. Applications for anhydrous ammonia include: refrigeration, metal treatments, resin and polymer production, acid neutralization, agriculture, and many more. Aqua Ammonia is also called ammoniacal liquor and is manufactured by dissolving ammonia gas in water. Known chemically as Ammonium Hydroxide, typical grades include 26° and 21° Baumé. By weight of ammonia dissolved in water, a 26° Baumé solution is equivalent to 29.4% and a 21° Baumé solution is equivalent to 19.68%. Unlike most anhydrous and aqua ammonia supply companies, Tanner Industries can produce aqua ammonia at any strength to meet customer specifications. To avoid reduction in the material strength of aqua ammonia, aqua ammonia storage tanks keep ammonium hydroxide in closed containers and a cool environment. The chemical, pharmaceutical, petroleum and many other industries regularly employ the use of aqua ammonia. Discuss your specific needs for storage and handling of anhydrous and aqua ammonia with Tanner Industries, one of the premier anhydrous and aqua ammonia supply companies in the country.